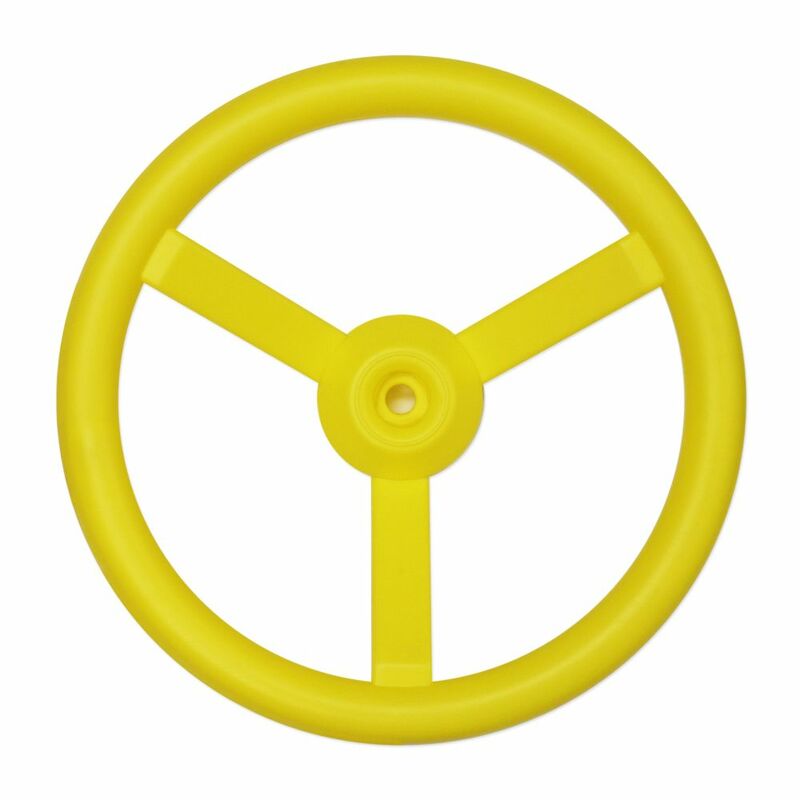 Made from colourful, durable plastic, this steering wheel (using a little imagination) can take your child racing around the track at Daytona, down a river, or cruising through space. The warranty applies to the original owner and registrant and is non-transferable. This product is warranted for residential use only. Solowave Design disclaims all other representations and warranties of any kind, express or implied. This deck structure comes with a Roof, Decks, Posts, Vine Climber, Tree Stump Climber, Straight Slide, TouchMath Panel, Gear Panel, Clock Panel, Telescope, Bongo Drum, Rain Wheel, & a Ground Spike Mounting Kit. Steering Wheel Made from colourful, durable plastic, this steering wheel (using a little imagination) can take your child racing around the track at Daytona, down a river, or cruising through space. Steering Wheel is rated 5.0 out of 5 by 1.